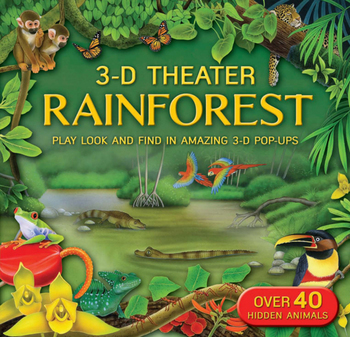 3D Theatre: Rainforest - by Kathryn Jewitt, illustrated by Fiametta Dogi - uses stunning 3D scenes to take the reader into the very heart of the jungle. 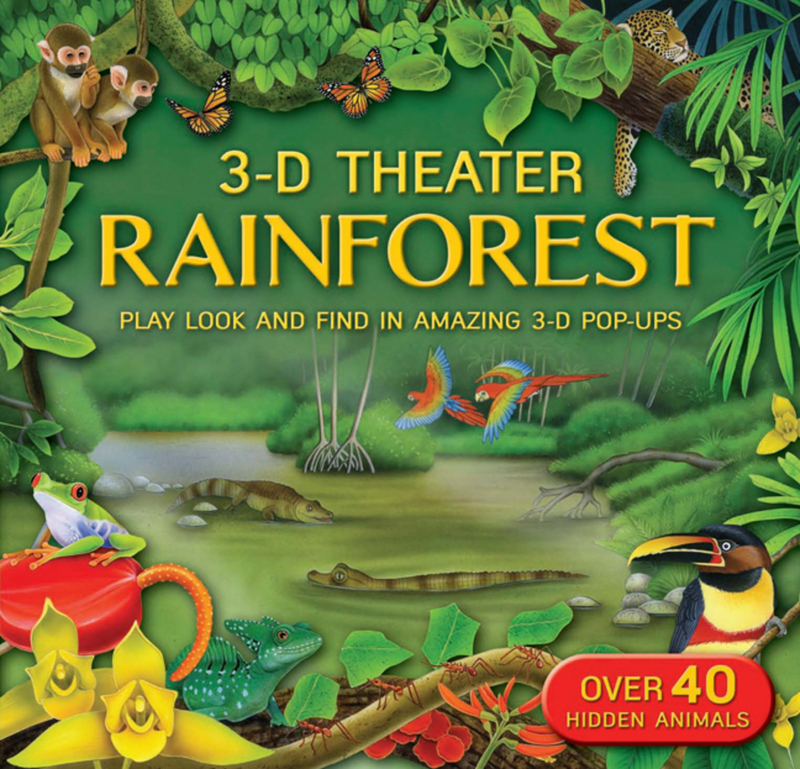 Whether it's looking down from the canopy through the different layers to the forest floor, exploring a Mayan temple half-covered by foliage, meeting the many animals that the rainforest is home to or coming across a river complete with caimans and piranhas, this enticing book will enthrall children and parents alike. Backed up with fascinating reference spreads, this is a book to treasure.